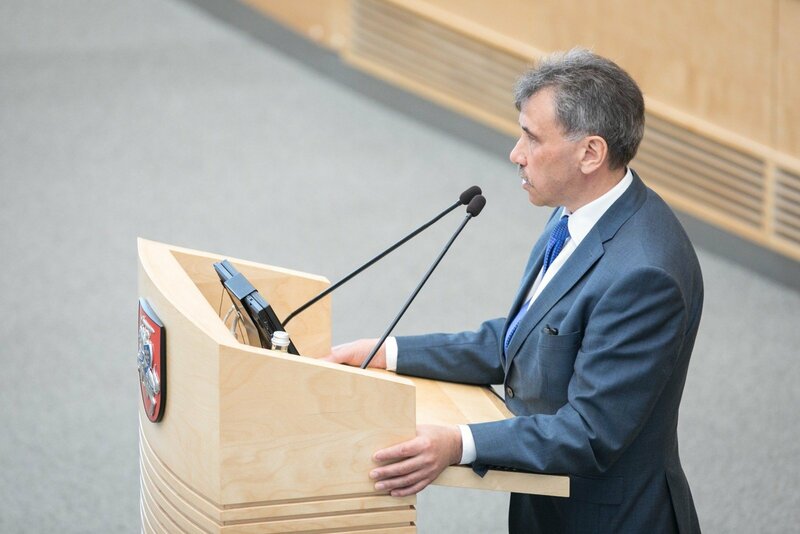 After Lithuania's parliament over six months ago rejected the proposal of publishing the names of former KGB agents who had admitted their past, MP Zbignev Jedinskij has again initiated the amendment. 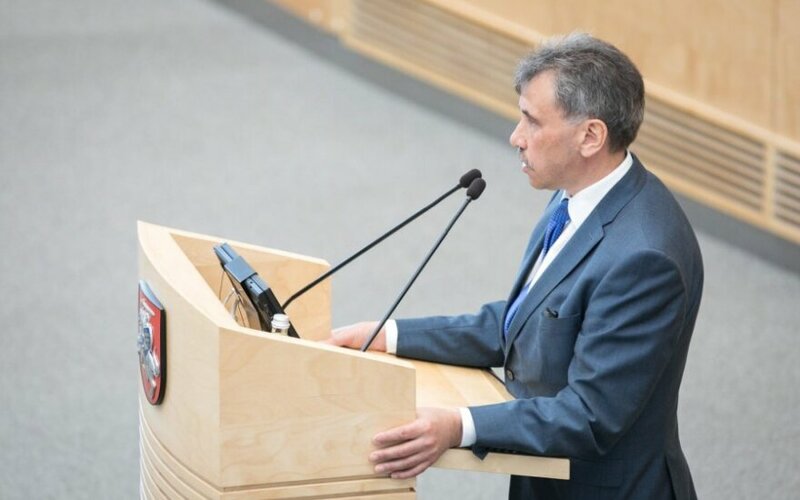 Together with other members of the political group of the Electoral Action of Poles in Lithuania – Union of Christian Families, he suggested "declassifying the information provided by the registered, admitted and listed persons and the data about them on Jan. 1 of 2019." Currently, the information has been classified for 75 years. "The persons who collaborated with the KGB are not known to the public, they are classified, they can be blackmailed by politicians from our country and from abroad. The people can cause potential damage to the state, and nobody can guarantee that they are not agents of a foreign country to this day," said Jedinskij. In his words, some of the persons continue holding high positions in state institutions and judicial structures. Jedinskij had already filed an analogous proposal last year, however, the parliament voted it down in the initial phase on Sept. 21. The bill was then supported by 19 lawmakers, 26 were against and 33 abstained. Meanwhile, in a report of national security threats presented in March, Lithuania's intelligence institutions stated that Russian security was targeting public servants in Lithuania who had not declared their collaboration with the KGB, using the information stored in Russia's archives for the purpose. "For recruitment of Lithuanian citizens the Russian intelligence services still use the classified archives about the former KGB agents in Lithuania. Russian intelligenceseeks and tries to discredit former secret KGB collaborators, who had not declared this fact, those who currently hold office in Lithuanian state institutions and possess information of interest to Russian intelligence or can influence decision making," the State Security Department and the Second Investigations Department under the Defense Ministry said in the traditional review of national security threats last month. Darius Jauniškis, director of the State Security Department, said that both people who had admitted their KGB past or concealed their collaboration could be vulnerable and blackmailed in this case. He refused to disclose any specific facts, hinting that the department was aware of blackmailed persons who had not come forward with their KGB collaboration. Enforced in 2000, a law enabled former staff members and secret collaborators of the KGB and other Soviet special services to come forward and register with a special commission to have their data classified. Those who have not admitted their past risked publication and some restrictions of their professional activities. Lithuania had also provided the possibility to come forward in 1991-1992. By the deadline, some 1,589 persons had come forward with their collaboration with secret services of the Soviet Union. Based on the materials contained in KGB documents, a presumption is made that around 118,000 people secretly collaborated with the KGB in the 1940-1991 period. The Lithuanian Genocide and Resistance Research Center in January completed the publication of data of registration books of archival personal data. Historians say some of the KGB archives in Lithuania could have been destroyed, with a large portion taken to Russia. Lithuania's intelligence issued an updated review of the threats to national security on Monday.